Great Location! Well maintained 3 bedroom 1 bath h - Great Location! Well maintained 3 bedroom 1 bath house. 2.5 car detached garage wired for 220 and plenty of room for storage. Low taxes and quick possession. Historic large 4 bedroom in small town. Built-in c - Historic large 4 bedroom in small town. Built-in cupboard, plank flooring downstairs, and original woodwork. Lots of possibilities. Stained glass windows, HVAC 4 years old. Please make me your new home. Looking for a home in the country? 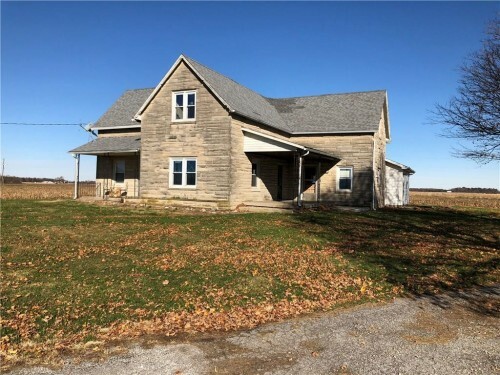 Here is your op - Looking for a home in the country? Here is your opportunity. So much potential with this 2 story Bedford stone house. Much sought after Eastern Hancock School district. 3 bedroom and 1 bath. 10x10 bonus room could easily make a 4th bedroom. 13x12 master bedroom on main level. Large attic space for storage. 2 car detached garage with work space. Small utility shed. Beautiful show ready 4 bedroom, 2 bath, Meridian-K - Beautiful show ready 4 bedroom, 2 bath, Meridian-Kessler home with so many great features! Hardwood floors, crown molding, and high ceilings. The rooms are large and the possibilities many. Lower level with finished family/rec room with new carpet. Freshly painted thru-out. New furnace. Check out the front porch, 3 car garage, additional parking pad, and the fenced rear yard! 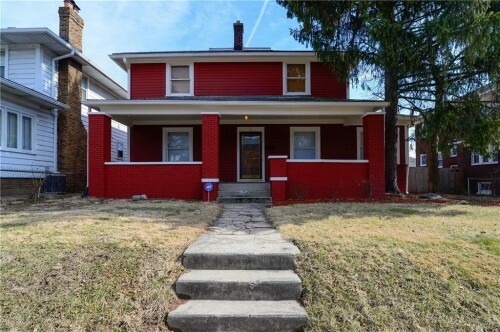 Completely updated home with lots of room to grow. - Completely updated home with lots of room to grow. Situated on 8.81 acres, this home offers a master suite on main level with walk-in closet. Master bath with heated floors, whirl pool tub, double shower with body and rain heads. Open concept great room/kitchen perfect for entertainment. Kitchen includes stainless steel appliances, breakfast bar, Corian countertops, second master suite, 3rd and 4th bedrooms upstairs all with walk in closets. 2 car attached garage with storage space. Charles A. Beard Schools, but minutes from Eastern Hancock Schools. Reward yourself for all your hard work with this l - Reward yourself for all your hard work with this luxurious well-maintained brick home on.74 acres in Greenfield. Over 6,000 sf of living space. You'll enjoy 6 bedrooms, 4.5 bathrooms, 4 car garage. Grand foyer, gourmet kitchen, center island, breakfast nook, graceful dining room, master suite with walk-in closet, sitting room, separate shower, whirlpool tub, engaging living room with gas fireplace for ambiance. Fully finished basement, perfect for entertaining. Bonus room/in-law quarters on second floor. Freshly painted, and move in ready!